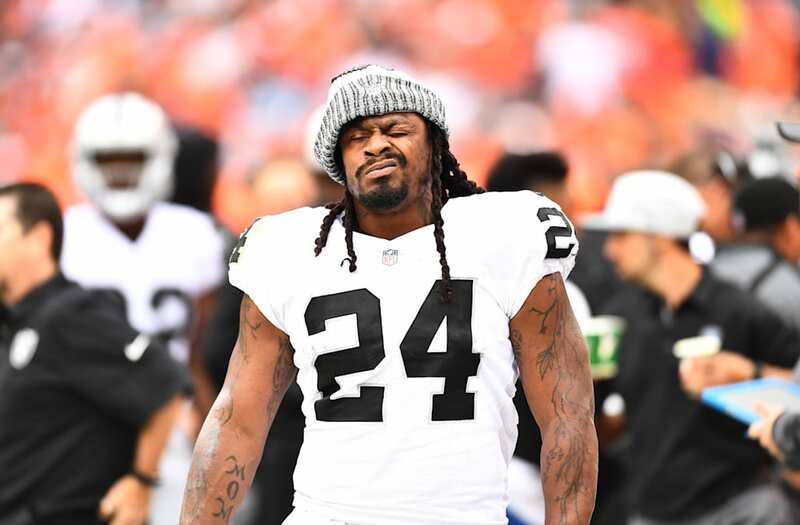 After shoving a referee last night during the Raiders-Chiefs game and subsequently getting ejected, it was unclear if Marshawn Lynch would receive a fine or a suspension for his actions. Well, that question has been answered. Lynch will miss the Oct. 29 game versus the Buffalo Bills as a result. The post Raiders RB Marshawn Lynch Suspended 1 Game For Shoving Ref appeared first on The Spun.